Hyundai, the Korean automobile manufacturer, prides itself on launching a new variant every now and then. 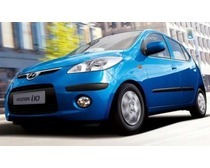 Amongst the latest additions in its range was the i10 Kappa, an updated version of the famous i10 model. The 'Kappa' has been equipped with a new 1.2 liter Kappa engine, which, according to Hyundai, results in better power delivery as well as much improved fuel efficiency. One of the best features of the car is its one touch opening sunroof, which offers to provide you with both slide and tilt functions. In short, be it performance or looks, Hyundai i10 Kappa is sure to woo you completely. Apart from making it a technological marvel, Hyundai has packed i10 Kappawith some mouth-watering features as well. Some of its features, like sunroof, 2-Din audio system and a red pack interior (for the Sportz version), are the ones that were the forte of higher segment (C and D segment) cars until its launch. The car has been equipped with curved roof, which gives it a 'sporty' look. The long front seat, with its back rest and head rest, has been provided as a single unit, to make sure that the driver has a fatigue-free experience. The Glove Box is strong and deep, while the Floor Console Tray has been placed conveniently between the front seats and the door-mounted pockets can be used for carrying sundry small items. The front and rear windows have been powered, while the rear headrests can be adjusted up and down. The car has a front map lamp as well, along with a roof mounted grab handle. In case you want to charge phones, running laptops or personal sound systems on the go, the 12v outlet, provided in the centre console, will serve your needs perfectly. 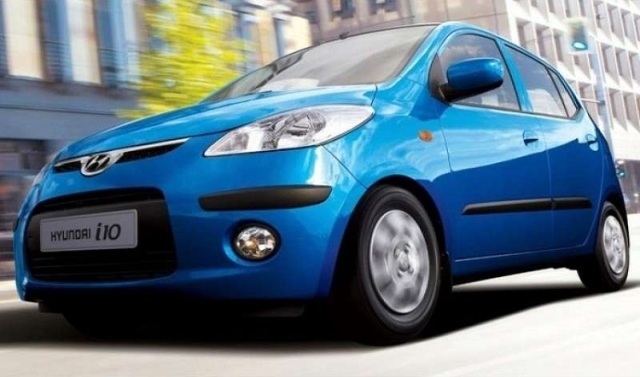 Hyundai i10 Kappa is available in three variants, namely Magna, Sportz and Asta. The Magna was launched at a price of about Rs.3,99,023, whereas the Sportz and Asta were priced at Rs. 4,26,869 and Rs. 4,85,678, respectively, ex-showroom. As expected, the automatic versions are a little expensive than the manual transmission versions. Magna Automatic had a launch price of Rs. 4,44,913, while the automatic versions of Sportz and Asta were available for Rs. 4,69,580 and Rs. 5,43,644 respectively, at the time of their unveiling. 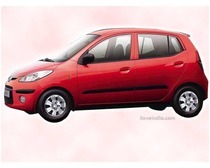 Hyundai i10 Kappa boasts of an engine capacity of 1.2 liters. It comes with an automatic transmission and offers 81 bhp of solid power and maximum torque of [email protected] The performance figures of the car are pretty impressive as well. It can do a 0-100km/hr dash in about 12 seconds flat and has a top whack of 165m/hr. Kappa's all-aluminum, 4 cylinder engine features Double Overhead Camshaft (DOHC) and breathes through 16 valves. Not only this, the 1.2 liter engine is Euro-V compliant, with the CO2 emission level standing at a bare minimum of just 119g/ km. Amongst the leading safety features of Hyundai i10 Kappa are ABS (Anti-lock Braking System), which prevent skidding, and dual airbags, which provide adequate cushioning in case of automobile collisions. It has also been equipped with wide black waistline molding that, apart from adding to the dynamic look of the car, protects the body from nicks and dents. The sleek, stylish and elongated clear rear combination lamps of i10 Kappa are aimed at providing improved visibility to the trailing vehicles.